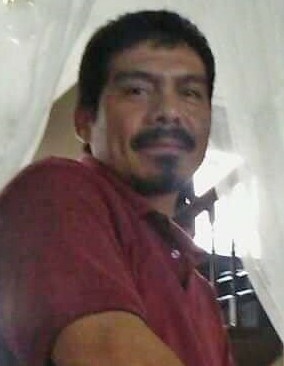 DONNA – Jesus Areguin, 47, passed away Sunday, November 18, 2018 at his residence in Donna. He was born December 24, 1970 to Meliton Areguin and Lilia Rada in Reedley, CA. Jesus is survived by his wife, Maria Lopez; sons, Jesus Areguin, Jr, Julio Areguin, Isaias Areguin, and Ezequiel Areguin; daughters, Priscilla Areguin, Jessica Areguin, and Diamond Areguin; and 7 grandchildren. He is also survived by his parents; brothers, Jose Angel (Marisela) Areguin, Adan Areguin, and Joel Areguin; sisters, Imelda Areguin, Lilia (Ernest) Cardoza, Noemi Areguin, Vanessa (Valde) Cerritos, and Crystal Areguin. Viewing will be held Tuesday, November 20, 2018 from 1:00 p.m. to 9:00 p.m. with a Prayer Service at 7:00 p.m. at Cardoza Funeral Home Chapel in Edcouch. Viewing will continue Wednesday, November 21, 2018 from 9:00 a.m. to 10:30 a.m. at Cardoza Funeral Home Chapel in Edcouch. Funeral Service will be held at 11:00 a.m. at Templo Cristo La Roca in Donna. Interment will follow at Val Verde Memorial Gardens in Donna.